Together with composer James Luff, Alex curates 840, a concert series dedicated to presenting new experimental music for chamber ensembles. 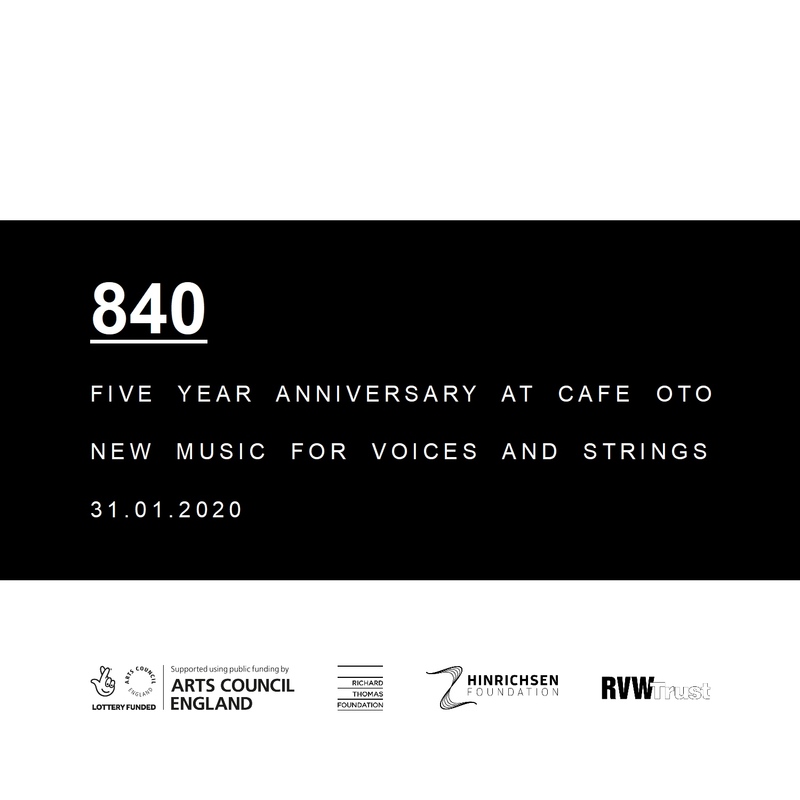 Since its launch in 2015, the series has featured music by sixty four composers including Martin Arnold, Laurence Crane, Naomi Pinnock, Matthew Shlomowitz and Jennifer Walshe and has been generously supported by the Arts Council, Hinrichsen Foundation and the RVW Trust. 840’s programme for solo piano, performed by Zubin Kanga, has been broadcast by BBC Radio 3. Visit eightforty.co.uk for more information.